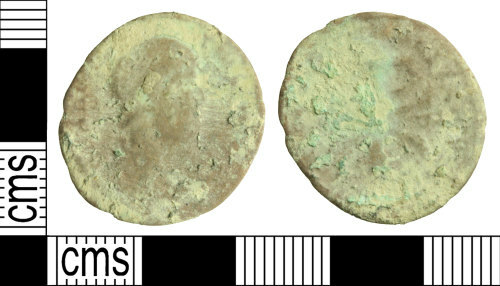 A copper alloy Roman nummus of Magnentius dating to the period AD 352 - 353 (Reece period 18). SALVS DD NN AVG ET CAES reverse type depicting Chi-Rho between alpha and omega. Uncertain mint. This coin has an unusually narrow bust.